At Avar Furniture we are able to design, manufacture and install the ideal under stairs storage solutions for our customers. Many modern homes lack sufficient storage space, particularly those with young and growing families, so under stairs storage is often the only option. However, this location can soon become untidy, which is a pity, because the staircase is usually the focal point of the hallway. 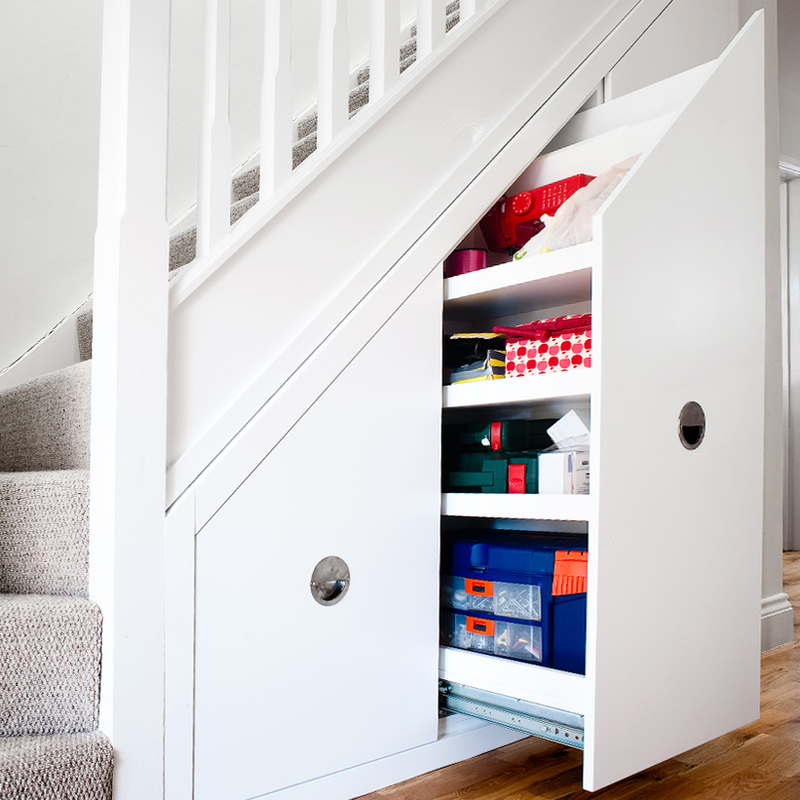 We can help overcome the problem with a choice of under stairs storage ideas that will meet your needs. 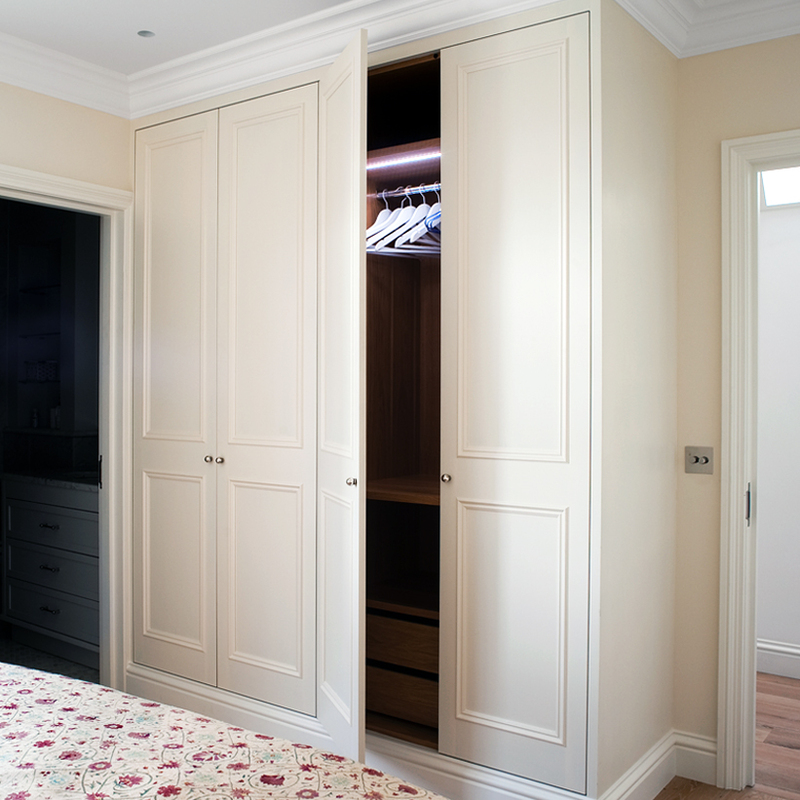 Whether you require an under stairs cupboard or under stairs drawers, our highly skilled design team will draw up the plans, after which we will construct and expertly fit them for you. All our products are handcrafted at our North London premises and we will provide you with a storage area based on your under stairs ideas. 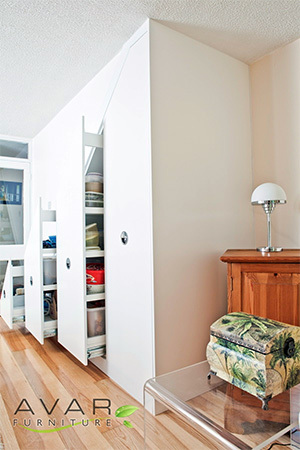 What is more, our under stairs cupboards and drawers will be designed and built to fit perfectly. 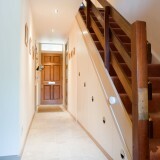 Before we design your under stairs storage units we need to know exactly what you are looking for. 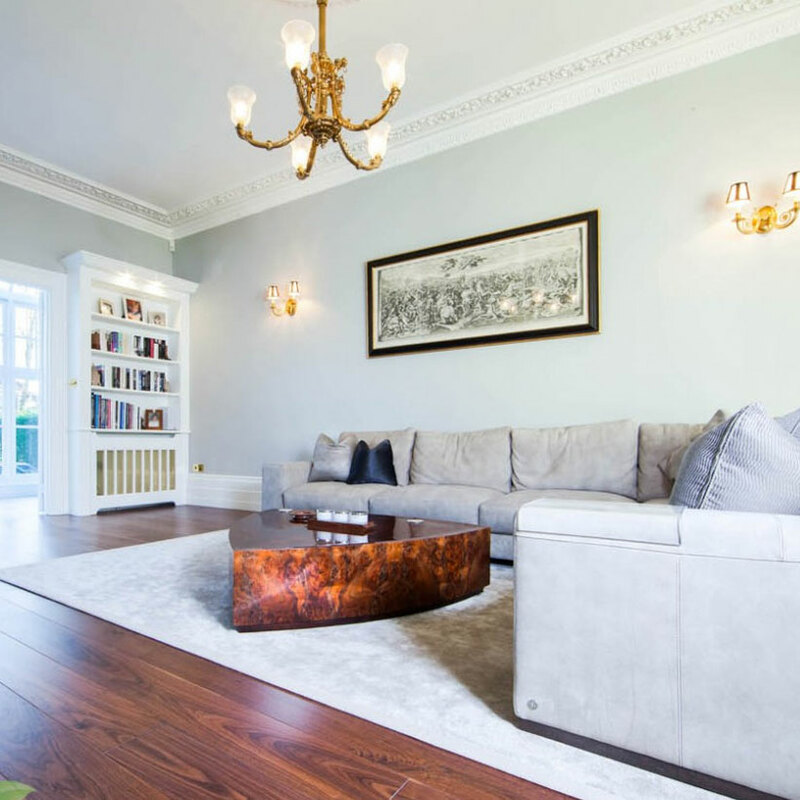 We will meet to discuss your requirements for under stairs storage to create something that is stylish yet completely suitable for your needs. We will keep in touch with you throughout the entire design stage. 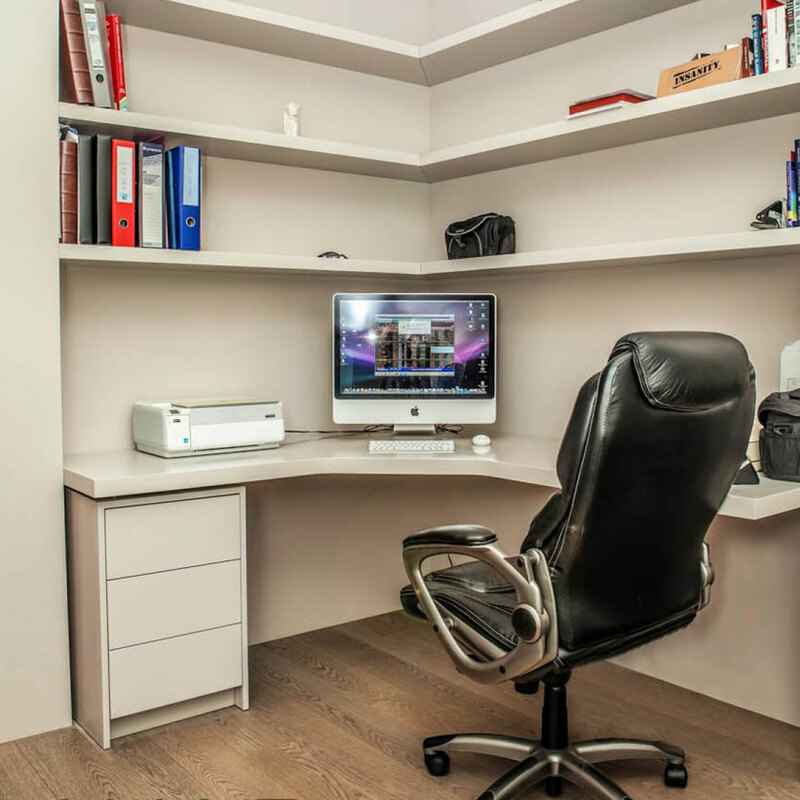 Our design team will provide computer visualised images, enabling you see to how your ideas for under stairs storage will look once fitted We also want you to be entirely delighted with the plans, so you will have the opportunity to request any changes, once they have been drawn up. While great care will be taken when designing your under stairs storage units, the same skill and attention to detail will be put into their manufacture. 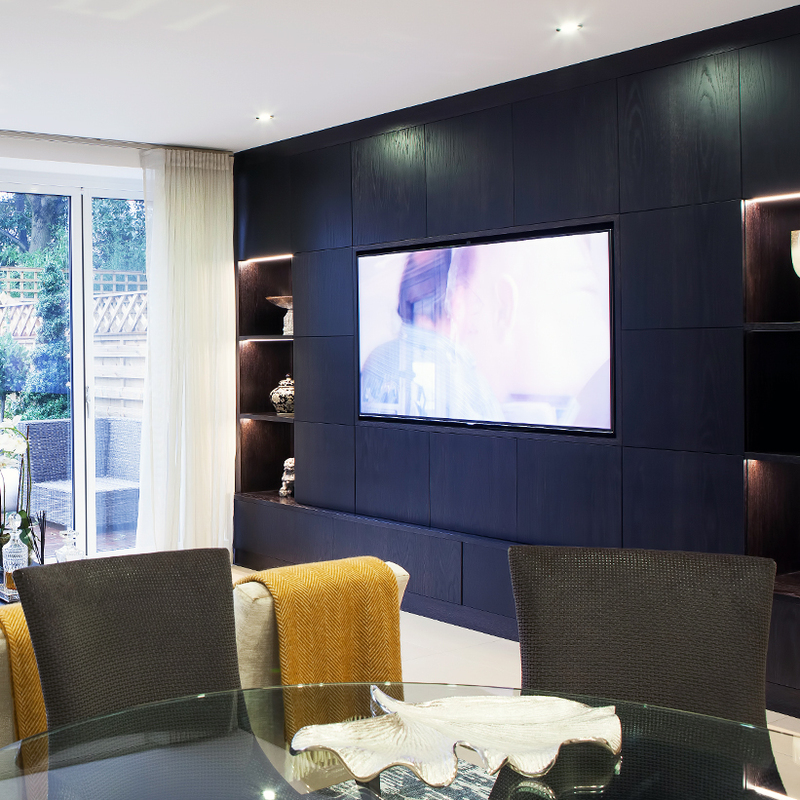 Here at Avar Furniture we pride ourselves that all our furniture and storage units are skilfully handmade to the highest of standards. Before being dispatched for installation each item is rigorously inspected to ensure it meets our high manufacturing standards. When considering under stairs storage ideas the question to ask is "how can I make the best possible use of this space?" There will be far more useable space than might first be imagined. 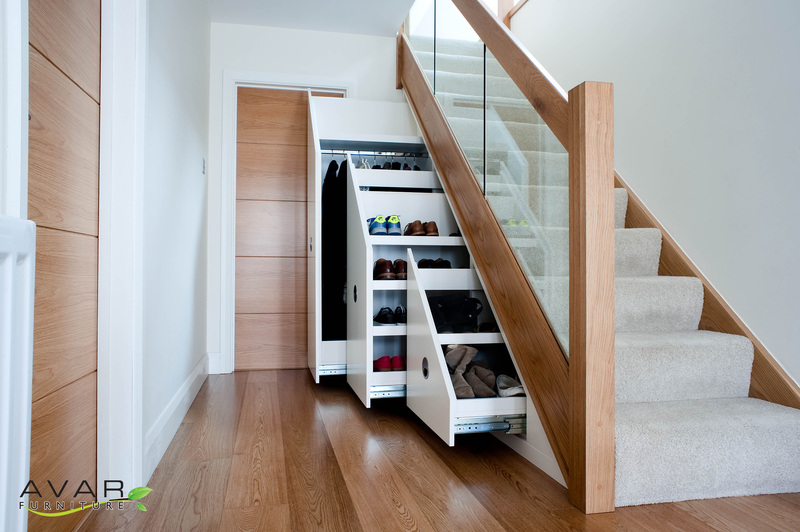 For example, shelving fitted on the inside of the door leading into the under stairs area can be used to hold shoes. Coat hooks can be fitted on the back wall to hold the children's outdoor coats. There is so much that can be done with that underused under stairs storage area and our design team is in on hand to help you make the best possible use of it. If you are short of space to store those outdoor jumpers, scarves and gloves you wear on wintry days we can include under stairs pull out shelves. 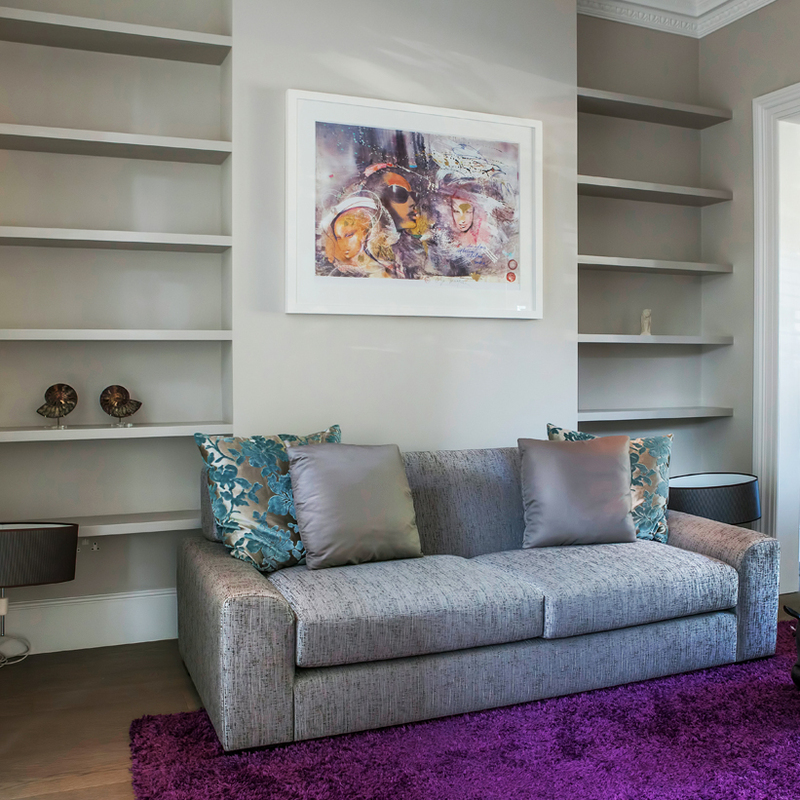 We can also help you improve your under stairs storage potential by installing cupboards; what is more, they can be the same style as the rest of the furnishings in your property. 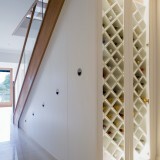 If you enjoy wine we can even turn the under stairs area into a mini-wine cellar. By contacting us you will be able maximise the potential of your under stairs area and overcome those annoying storage problems. 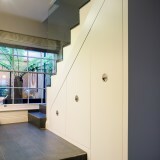 Want to see more Understair storage?